Born on 5th of July, in İstanbul. She is the only child of her family. Ever since childhood she is addicted to drawing. Studied costume & design at Mimar Sinan Fine Arts University, graduated in 2004. The same year she started to act in the TV series named Çemberimde Gül Oya. The following year recieved the award for best actress in Republic of Serberia and Montenegro International Festival with the film Gülizar. One of her famous TV series Asi was nominated for the best Soap Opera in the 51. Monte Carlo TV Festival. She married Onur Saylak in 2011 and had her twin girls on 19.01.2011 . Since 21.05.2014 she was appointed as UNICEF National Goodwill Ambassador to advacote Children's right all around the world by UNICEF Turkey. 20 Minutes is the story of a married couple Melek and Ali, the parent of two beautiful children, who love each other to death and risk their lives for each other. One day, their perfect life turns upside down with the arrest of Melek for attemped murder. Everything starts after Melek is sentenced to life prison where Ali becomes obsessed with the idea of breaking his wife out of jail and decides to save Melek against all odds. 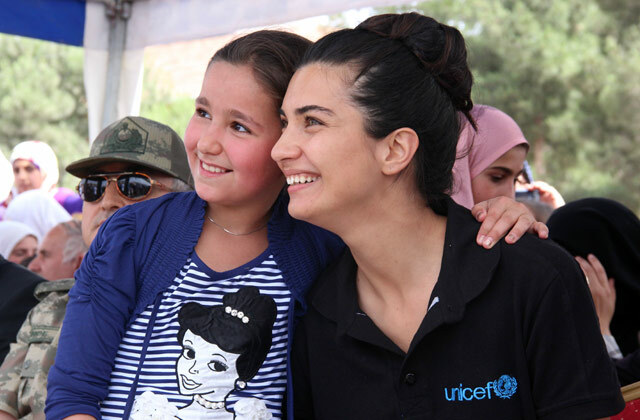 Tuba Büyüküstün was appointed as UNICEF National Goodwill Ambassador to advocate Children’s right all around the world since 21.05.2014 by UNICEF Turkey. 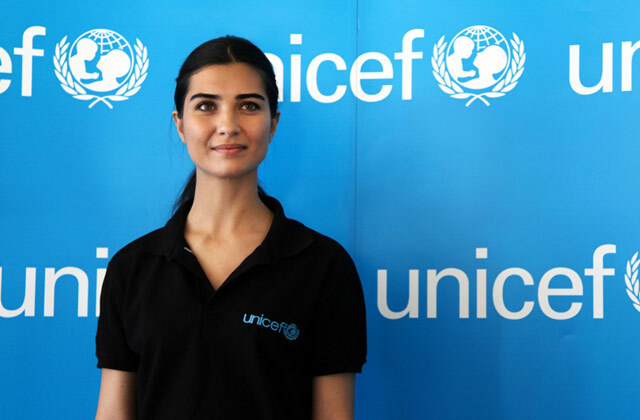 She participates a global UNICEF campaign call “No Lost Generation” to raise awareness of Syrian refugee children’s needs in Turkey and the other countries in the region. Winners will receive their Awards November 24, 2014 at the 42nd International Emmy® Awards Gala in New York City.